When it comes to keeping customers interested, the car industry needs to roll with the punches and always look to adapt or adjust to new trends. 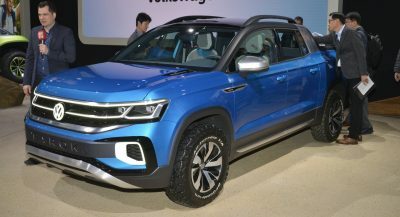 In the United States, consumers generally prefer to get behind the wheel of large SUVs or trendy new crossovers, which has put a considerable strain on sedan sales, one that’s being felt even by the biggest of luxury automakers. To put that lowered demand into perspective, USA Today looked at the numbers and figured out which models went on to sit still on dealership lots for months on end before finally being purchased by a stray buyer. There are 26 total nameplates involved, and we’re going to run through places 26-11 quickly before focusing our attention to the 10 vehicles that have generated the least amount of interest in recent years. As you can probably gauge for yourselves, there are multiple factors that cause cars to rot away on dealer lots, and it’s not always just because of new market trends. 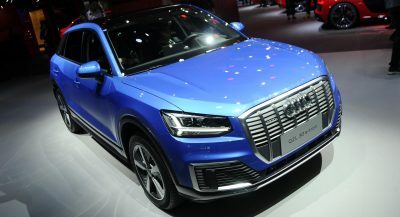 SUVs like the Hyundai Santa Fe and Cadillac XT5 made the cut despite putting up more than just decent sales numbers, whereas models like the old Audi A8 were undoubtedly harder to move because there was a brand new version on the horizon. It’s easy to understand why people didn’t throw themselves at the first-generation A7 Sportback as it was nearing the end of its cycle. Sure, Audi kept updating it as far as available tech was concerned, but by the end, some of them ended up spending close to five months on dealers’ lots, which is indicative of very low demand. The fact that this was also a very expensive four-door coupe to begin with surely factored in as well. The Fiat 500L was actually one of the worst-selling cars of the year in 2018, moving fewer than 1,500 units throughout the U.S. If consumers are now generally focused on trendy and dynamic-looking crossovers at the $20,000-or-so-mark, we can understand why the quirky 500L doesn’t exactly fit that bill. Would you buy a 500L over a Toyota C-HR? Luxury sedans aren’t exactly the most in demand cars at the moment, and the fact that the XJ is trailing its rivals from Mercedes, BMW and Audi in terms of on-board tech isn’t helping its case either. Sure, it looks good, and the badge still carries weight, but you know you’re getting a lot more bang for your buck with BMW’s latest 7-Series or Audi’s all-new A8. The fact that a nameplate like the Impala can spend that much time on in a dealership lot while also being the second best-selling model in its segment for two years in a row is just indicative of what’s happening with the large four-door sedan segment – as well as the sedan segment in general. Curiously enough, similar ailments plague the following model too. We’re surprised to find the E-Class on this list, especially this high up. Merc’s four-door middle child has been its segment’s best seller in both 2017 and 2018, however, we can only assume that a rising interest in Mercedes-Benz crossover models is what led to the E-Class finding itself in such a position. Again, it’s not a decline in sales for the nameplate and in some ways, not even in interest – the E is just part of an overall declining segment. Dealer lot problems with the Chrysler 200 have been well documented, even after FCA officially pulled the plug on the compact sedan. Remember, this was the car that Sergio Marchionne himself dubbed a horrible investment, so it’s no surprise that at one point there was more than a six month supply available in dealerships. Sales for the Fiat 500 fell abruptly from 2017 to 2018, mirroring the poor reliability score registered in the J.D. Power’s list of the 10 least dependable cars of 2017. The 500 topped that list and then went on to be third in 2018. Then there’s the whole crossover boom – hard to fight on multiple fronts when you’re a car with a singular purpose. An all-new generation of Volvo’s S60/V60 range was long overdue, as the previous model struggled to keep up with more established and more technologically-capable rivals like the Mercedes C-Class, BMW 3-Series, Audi A4, Infiniti Q50 and so on. In fact, it’s hard to imagine anybody purchasing a previous-gen S60 last year, unless it was at a massive, out-of-this-world discount. With VW ditching the old Touareg in the U.S. in favor of the three-row Atlas and redesigned Tiguan, it’s no wonder that any remaining cars became extraordinarily difficult to move. To be fair though, spending more than half a year gathering dust is by no means indicative of the car’s technical prowess – the 2nd-gen Touareg received positive reviews in the U.S. when it was first introduced to market. Mitsubishi shut down its Lancer operation in the U.S. in August of 2017 and it took the automaker over six months to clear out the final 3,351 units. Letting the Lancer go quietly into the night was a decision taken after it registered multiple years of declining sales. If you could have any of the previously-mentioned cars at a good enough discount, which one would you choose over something more modern? most privileged girls I’ve seen drive a Mercedes, Lexus, or BMW. Not a freaking Fiat. He must be referring to the UK market where the 500 is a strong seller amongst young women. Not only UK, it’s everywhere in Europe. And the resale value is strong, even for 2008 and 2009 model years. And as far as I know it’s very reliable, specially with the 1.2 liter base engine. The 500L is a piece of crap, from every perspective. I hope that Fiat replaces that with something decent. that’s fine haha but the article is posted by US Today based on US figures. The one that really surprises me is the Santa Fe. For a well designed SUV with great features and safety ratings (both current and previous generations), you’d think they’d fly off the lot. Cheap interior on the last gen model and the new one looks ugly as hell. Sportwagen/Alltrack is a great car for the price. For a small amount of money you can unlock another 40HP from that already sufficient 1.8 TSI engine. I really wish wagon will get more love in the US so we will eventually see more choices. I feel like I see A7’s and Touaregs everywhere, weird. I see them around as well, but they are older 2013-2015 models. The Santa FE they were referring was the LWB. Good thing they’re going to discontinued that model. This stat was from 2017-2018. Or maybe the stat has a lot error. The RLX should be on the list too. Hyundai & Volvo 60 had new models coming. Nothing else on the list surprises me. Especially the 3 Cadillac models. My parents got two Volvo S80s in the past few years (2012 and 2015 models, I think) for something close to a 30% discount off of sticker. Sure, a $48k S80 really couldn’t hold a candle to a 5-series or an A6 that stickered in the low $50s at the time (lightly optioned), but a $33k S80 is definitely a better and more comfortable car than a well equipped Camry, or even a moderately equipped ES in the low $40s. Sure, some of the cars are very long in the tooth or were up for replacement, but it’s a pity to see some other good models sitting out there – CTS, Impala, E-Class (really surprised here…), Sportwagen, and Regal, to name a few. Honestly surprised no Acura made the list – maybe Honda’s just better at inventory management than everyone else? 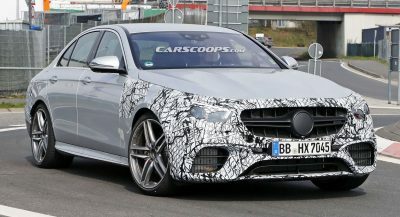 Mercedes didn’t do the E-class any favors by making it look exactly like the C and S classes. The E always used to stand out within the M-B lineup, and now, it doesn’t. IF I HAD SOME EXTRA, OK A LOT OF EXTRA CASH, I’D TAKE A 6 SERIES 2 DOOR. Awesome. Time to get a great deal on a . . . Surprising to the fact I see one, maybe two, GMC Canyons a month. Some of these cars don’t deserve to exist (in the US market), some of these cars are transitioning from an old model to a new one, and some of these cars are old and just need a complete makeover.